Combine soup, milk and soy sauce. Stir in green beans, almonds, and 3/4 cup onions. 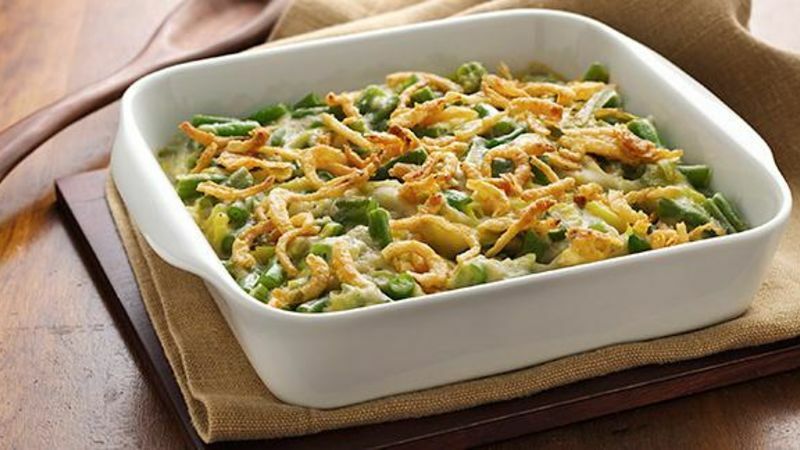 Pour into well-greased casserole dish and bake at 350°F for 25-30 minutes or until hot and bubbly. Stir mixture and top with remaining onions. Bake another 5-10 minutes until onions are golden brown.